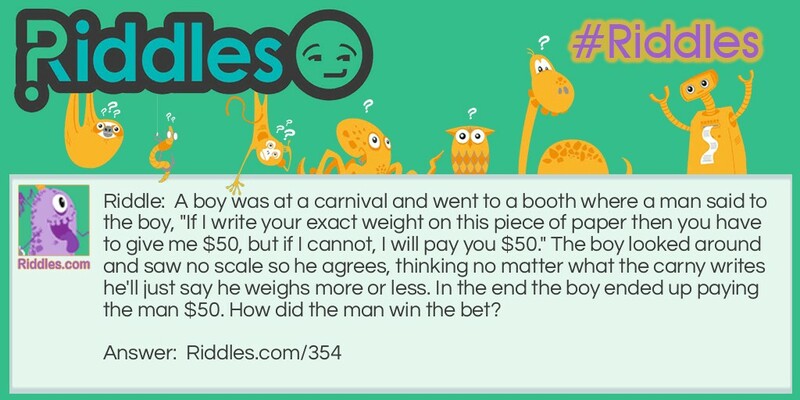 A boy was at a carnival and went to a booth where a man said to the boy, "If I write your exact weight on this piece of paper then you have to give me $50, but if I cannot, I will pay you $50." The boy looked around and saw no scale so he agrees, thinking no matter what the carny writes he'll just say he weighs more or less. In the end the boy ended up paying the man $50. How did the man win the bet? The man did exactly as he said he would and wrote "your exact weight" on the paper. 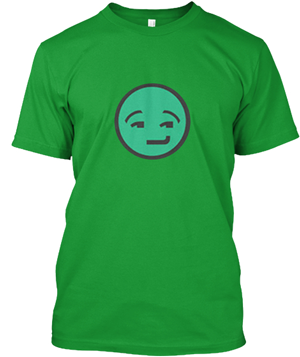 Guess your weight riddle Riddle Meme with riddle and answer page link.